When the history of this past year is written, 2018 will go down as a watershed year for the preservation of religious freedom in America—and a year of monumental firsts for you being able to live out your faith. In the last 21 years, the attacks on your First Amendment rights have never been more vicious, more personal, and more ridiculous. Yet, at the same time, First Liberty’s victories could not have been more decisive and more precedent setting. Thanks to legal defenses mounted by First Liberty’s expert staff and volunteer attorneys, a woman can now pray in her home without being arrested . . . high school cheerleaders can live their faith freely . . . houses of worship are now treated fairly when it comes to federal relief funds . . . and a U.S. Army chaplain cannot be punished for his religious beliefs on marriage. First Liberty has also offered expert research on the religious liberty qualifications for federal judicial nominees. We have put in thousands of hours into this research and are helping to make a big difference in the vetting of potential federal judges. The hope is here: we have the momentum – and history – on our side. Right now there is a window of opportunity to advance the cause of religious freedom as never before. This may very well be our last chance as a nation to return our country to the vision of the Founders. There is now a 5-4 majority of justices on the Supreme Court who interpret the Constitution according to the original intent of the Founders. And with 150 federal court vacancies, we have what could be a once-in-a-lifetime opportunity to fill them with originalist, pro-religious freedom judges who will interpret the law and not rewrite it according to their political beliefs. Think about that for a moment. Not since the 1920s – that’s four generations! — has America had such a favorable federal judiciary, and the impact of its decisions will span the next 40 years in protecting religious freedom for your children and grand-children. Thankfully, the results of the midterm elections will keep this window of opportunity open a crack for now. But this window of opportunity will not be open for long. Those who want to dispense with religious freedom realize what’s at stake and will stop at nothing to further their destructive agenda. Radical organizations such as the ACLU are busy raising record amounts of money to reclaim what they have lost. It is critical that we redouble our efforts to protect religious freedom before this fleeting window of opportunity slams shut. 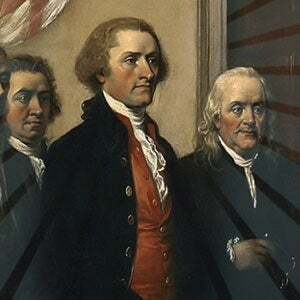 There is good reason our Founding Fathers deemed freedom of religion and freedom of speech as the first—and most important—of all the freedoms we enjoy. They fully understood, as we do, that without them, all the blessings of liberty can be taken away with the stroke of a pen or the thud of a gavel. As 2018 draws to a close, the future of religious liberty for you, your children, your grandchildren, and future generations of your family is up for grabs. While First Liberty’s victories are encouraging, we cannot afford to rest on our laurels. First Liberty is currently poised for some historic, breakthrough wins, including the final battle for the Bladensburg WWI Veterans Memorial. But to prevail we must have the resources to mount vigorous defenses wherever and whenever religious freedom is threatened. The new year is just weeks away and there are a number of critical cases that we must win going into 2019. We are currently fighting two cases to protect the religious freedom of condominium residents who have been prohibited from holding Bible studies on the premises—and even from playing religious music on a community organ! Your support this past year has been an integral part of all we have accomplished. To be in a strong financial position, First Liberty must raise $2.4 million by December 31 to continue our ardent defense of more than 400 legal matters we fight each year, including our history-making cases at the Supreme Court level. And I sincerely hope you do too! As you consider your year-end giving, please give pause for a moment to recognize and understand . The future of religious freedom may very well depend on what you do now. Give today to defend religious liberty.